Wow I cannot believe that my little place on the internet (my 'slice of life' - who remembers that being my blog name?) is 4 years old today! I remember sitting at my desk in my room in Halls writing up my first post (it's a bit of a cringey read) and being really excited to hit that publish button. A lot has happened since that day; I moved out of Halls and into a shared house for two years, I graduated with a degree in English literature, and moved in with Tom and Tilly and ventured into the world of work. 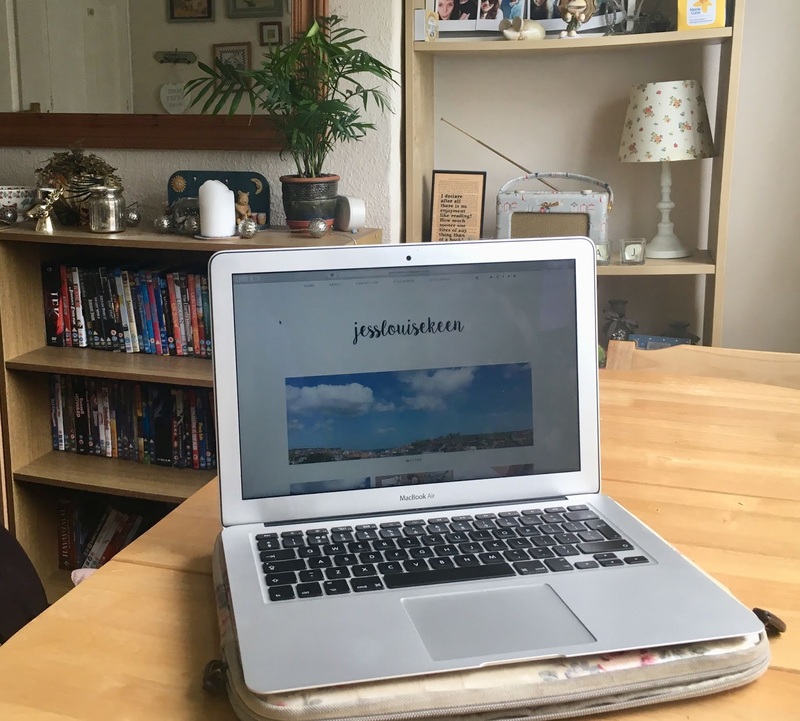 When I started my blog I didn't really have any aspirations for it other than using it as a way to document different parts of my life, but over the past year I've ventured out into working with brands and I've really enjoyed the chance to do so. Over the next year I hope to get into a regular schedule with blogging so both you and I know when content will be going up. I have some ideas of what I want to write about, but if there's anything you'd ever like to see or know about just let me know! I've really enjoyed the ups and downs of blogging over the last four years and I'm looking forward to seeing where it goes in the next year. If you've been here for a day or for all four years, I really appreciate you taking the time to read my ramblings and thank you for your continued support. One thing I love about working is the fact that when I take a holiday it's free time and not filled with assessments like they used to be back in my degree. Months ago Lucy and I booked some time off work so we could go away for a few days, and after deliberating where to go we decided on Whitby as Lucy had never been before and I'll take any opportunity to visit the sea! We stayed in an airbnb which I had never done before but I had a really good experience and would definitely go back to this property again. The flat is in a great location; it came with parking and I got the double bed thanks to winning rock paper scissors. It was a short walk to the Abbey, shops and restaurants; had amazing views from the bedrooms and balcony, and I would definitely recommend staying here if you're off to Whitby! On our first day we walked along from our flat to the Abbey which is situated at the top of the 199 steps (luckily we walked down them to the town rather than up to the Abbey!). You can see the Abbey from a distance in the car park or the nearby church, but we paid to go inside the museum which allowed us to walk around the ruins and this also included a free audio guide. There's also amazing views of the bay as it sits at the far end of the hill out towards the sea. Before we went to Whitby I asked at work for recommendations of places to go and there were a lot of conflicting ideas around where you can get the best fish and chips, but we settled on The Magpie Cafe and were not disappointed! There are a lot of options available on the menu but if you're in a larger party you'll definitely need to book ahead. I can't comment on what their desserts are like as we were too stuffed after our fish and chips! On our second day we went on the steam train from Whitby to Pickering. I used to go on the steam train to Holt with my grandparents whenever we took a trip to Cromer, so it was lovely to be able to go on a trip and enjoy the hour and a half journey each way! We found there wasn't that much to do in Pickering, although since being back in Sheffield someone said the best day to go is a Saturday as there's a market on the main street, but there are also a number of places on the line that would be good to stop at for a walk in the Yorkshire Moors. One of the stops is Goathland which has become famous for being Hogsmeade Station in the Harry Potter and the Philosopher's Stone film. On both days we went to the arcade (we didn't win anything but Lucy had never been to one before so she was inducted into 2p machines) and went for a walk along the beach which on the second day resulted in me having a paddle in the sea (it was freezing cold but I hadn't seen a beach since about August so I felt I had to!). I love living in Sheffield but I really miss living closer to the seaside as I find it such a calming place to go to. Not featured in these photos was a trip on the open top tour bus (good option if you're going about Whitby and want to hop on and off - especially at the top of the steps near the Abbey! ), a teddy bear cone ice cream, and a viewing of the S Club Seeing Double film - all of which I would recommend. We both had a fab time away and I would definitely recommend you to take a trip as I will be going again myself one day!